Mahindra & Mahindra Limited, the country's leading utility vehicle manufacturer, has revealed intentions to increase prices of its models soon in the domestic car market. Accordingly, some Mahindra products are anticipated to get dearer by up to 2 per cent in the country. The company is citing inflation and rising input costs as the main reasons behind the impending price hike. In an interaction with the press during sidelines of the CII annual conference held in New Delhi, Pawan Goenka, President, Automotive Division and Farm Equipment Sector (FES), Mahindra & Mahindra Limited, was quoted as saying, “We will be soon announcing a price hike of 1 to 2 per cent in order to offset increasing input costs and inflation.” Goenka, however, refused to share the details regarding which Mahindra models were going to see the announced price hike. At present, Mahindra & Mahindra Limited has a majority of its products in the utility vehicle segment, comprising the likes of Thar, Bolero, Xylo Scorpio, Quanto, XUV500, SsangYong Rexton, along with the Verito entry level sedan. Further, the company has recently launched its first battery powered electric car called 'e2o' in the domestic car market. 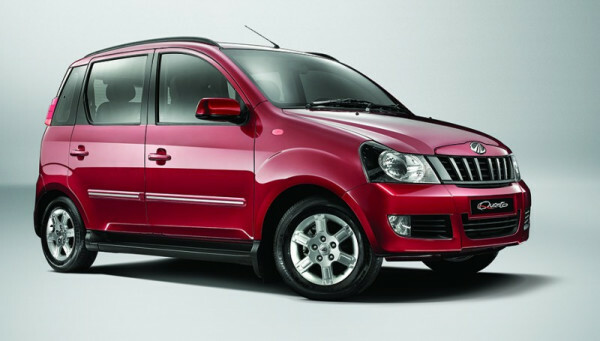 It is going to be interesting to see which of the Mahindra models will get dearer to the pockets of Indian consumers. When enquired about the company's take on tax levied on Sports Utility Vehicles (SUV) by the government, Goenka revealed that Mahindra & Mahindra is awaiting a clarification on the matter from the Finance Ministry. The government is yet to clear the air on models under impact from the 3 per cent increase in excise duty from 27 to 30 per cent, as per the 2013-14 Union Budget. The issue was taken up by the apex industry body- Society of Indian Automobile Manufacturers (SIAM) and the Ministry of Heavy Industries and Public Enterprises.